If you are looking for cosmetic surgery in the UK, our team of highly experienced consultant plastic surgeons are able to offer consultations, and perform a wide range of cosmetic procedures at our cosmetic surgery clinics throughout the country. 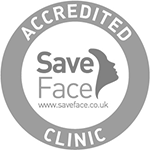 All of our plastic surgery clinics are situated in convenient locations with good transport links by road and rail. To find out more about any of our clinics, including details of surgeons, facilities and directions, please click on a clinic address. For further information on UK cosmetic surgery or to book your no obligation consultation, call us today or contact us here.